It seems like a day does not go by that we do not hear negative reports in the world around us. I thought it might be nice to take some time to point out some bible scriptures that I am sure we are all aware of or have at least heard once or twice. Hopefully these scriptures can encourage you and remind you of the hope you have in Christ. If you have allowed Jesus Christ to be your Lord and Savior you have absolutely nothing to fear. God wants us to live in peace no matter what is going on around us but the devil wants us to be tormented by fear. We each have a choice to make the choice is to believe what is true and live in faith that God will take care of us or believe the lies the devil throws at us. I don't know about you but I want to walk by faith. Let's throw some scriptures at the devil and let him cringe at us for a while ready, get set, go. The following scriptures are NIV unless noted otherwise. 1 Timothy 1:7 - For God did not give us a spirit of timidity, but a spirit of power, of love and of self-discipline. Hebrews 11: 6 NKJV - But without faith it is impossible to please Him, for he who comes to God must believe that He is, and that He is a rewarder of those who diligently seek Him. 2 Corinthians 5: 7 NKJV - For we walk by faith, not by sight. Phillipians 4:4-9 - Rejoice in the Lord always. I will say it again: Rejoice! Let your gentleness be evident to all. The Lord is near. Do not be anxious about anything, but in everything, by prayer and petition, with thanksgiving, present your requests to God. And the peace of God, which transcends all understanding, will guard your hearts and your minds in Christ Jesus. Finally, brothers, whatever is true, whatever is noble, whatever is right, whatever is pure, whatever is lovely, whatever is admirable, if anything is excellent or praiseworthy, think about such things. Whatever you have learned or received or heard from me, or seen in me, put it into practice. And the God of peace will be with you. 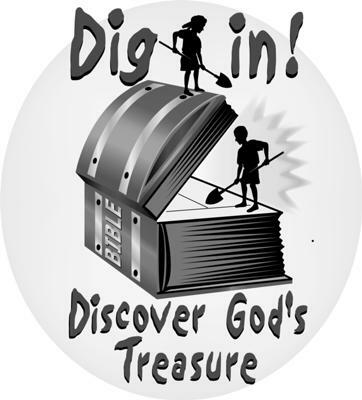 Matthew 6:19-34 - Do not store up for yourselves treasures on earth, where moth and rust destroy, and where thieves break in and steal. But store up for yourselves treasures in heaven, where moth and rust do not destroy, and where thieves do not break in and steal. For where your treasure is, there your heart will be also. The eye is the lamp of the body. If your es are good, your whole body will be full of light. But if your eyes are bad, your whole body will be full of darkness. If then the light within you is darkness, how great is that darkness! No one can serve two masters. Either he will hate the one and love the other, or he will be devoted to the one and despise the other. You cannot serve both God and Money. Therefore I tell you, do not worry about your life, what you will eat or drink; or about your body, what you will wear. Is not life more important than food, and the body more important than clothes? Look at the birds of the air; they do not sow or reap or store away in barns, and yet your heavenly Father feeds them. Are you not much more valuable than they? Who of you by worrying can add a single hour to his life? And why do you worry about clothes? See how the lilies of the field grow. They do not labor or spin. Yet I tell you that not even Solomon in all his splendor was dressed like one of these. If that is how God clothes the grass of the field, which is here today and tomorrow is thrown into the fire, will he not much more clothe you, O you of little faith? So do not worry, saying, 'What shall we eat?' or 'What shall we drink?' or 'What shall we wear?' For the pagans run after all these things, and your heavenly Father knows that you need them. But seek first his kingdom and his righteousness, and all these things will be given to you as well. Therefore do not worry about tomorrow, for tomorrow will worry about itself. Each day has enough trouble of its own. Matthew 7:7-12 - Ask and it will be given to you; seek and you will find; knock and the door will be opened to you. For everyone who asks receives; he who seeks finds; and to him who knocks, the door will be opened. Which of you, if his son asks for bread, will give him a stone? Or if he asks for a fish, will give him a snake? If you, then, though you are evil, know how to give good gifts to your children, how much more will your Father in heaven give good gifts to those who ask him! So in everything, do to others what you would have them do to you, for this sums up the Law and the Prophets. Luke 6:38 - Give, and it will be given to you. A good measure, pressed down, shaken together and running over, will be poured into your lap. For with the measure you use, it will be measured to you." Luke 8:16 - No one lights a lamp and hides it in a jar or puts it under a bed. Instead, he puts it on a stand, so that those who come in can see the light. For there is nothing hidden that will not be disclosed, and nothing concealed that will not be known or brought out into the open. Therefore consider carefully how you listen. Whoever has will be given more; whoever does not have, even what he thinks he has will be taken from him." Is there certain parts of the bible that you find easier to believe than others? If so ask God to help you with those parts you may be experiencing unbelief or lack of faith. Do you take God at his word? If you struggle ask God to help you. It will not surprise him he already knows your heart nothing surprises him or makes him love you any less. Do you have a favorite bible scriptures? Feel free to share it with us if you would like. Thanks for loving us just how we are but encouraging us to change and grow. Thanks for sending your son as the ultimate sacrifice and display of your love for us. Some scriptures are much easier for me to receive than others open our hearts to hear from you. Help each of us believe your truth and promises for our life. There is nothing we can do to make you love us anymore or any less your love for us does not start with us and it does not end with us. everybody to put faith at god. Thank you for the wonderful message and GOD BLESS YOU.